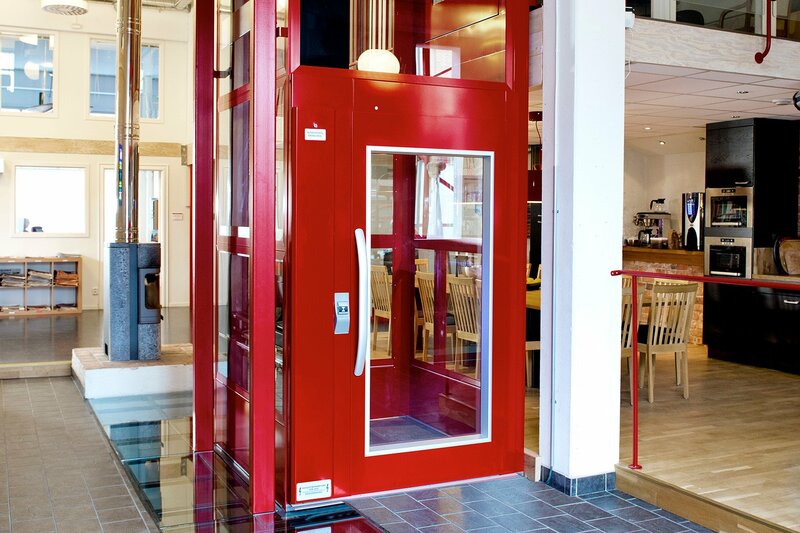 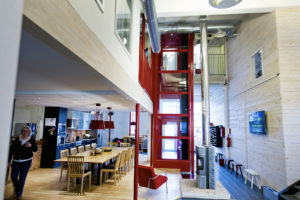 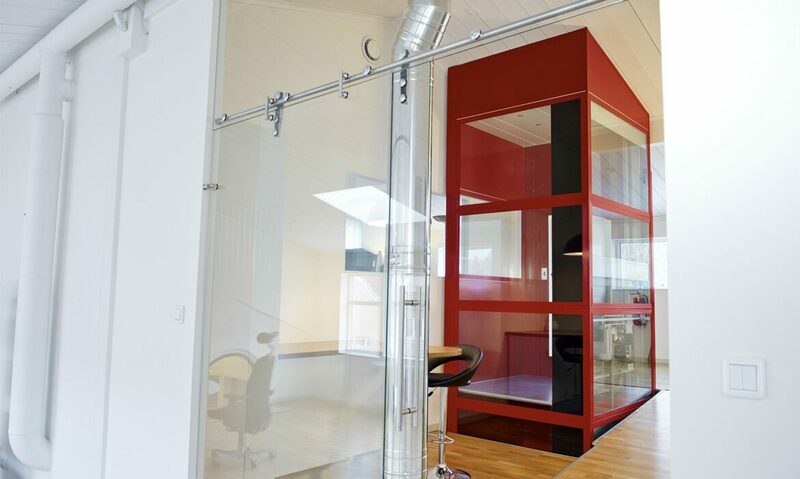 This colourful Cibes A5000 platform lift is installed in an old fire station in Falun, Sweden. 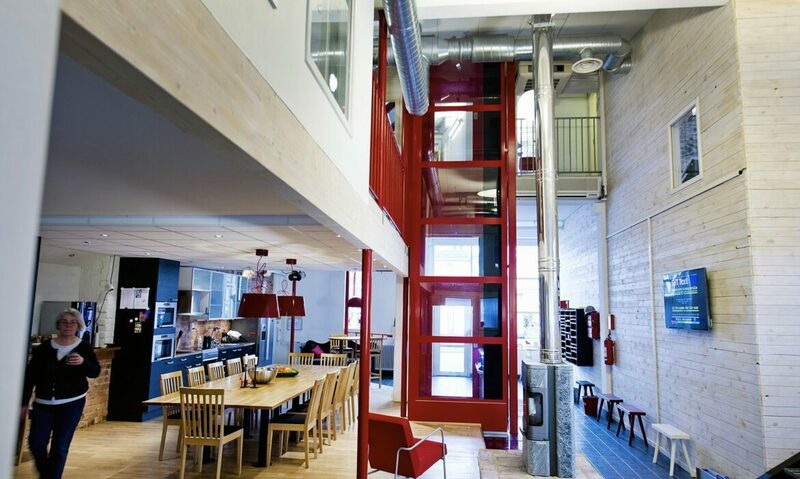 The fire-red colour of the lift links back to the history of the building and creates an attractive contrast to the neutral colours of the interior design. 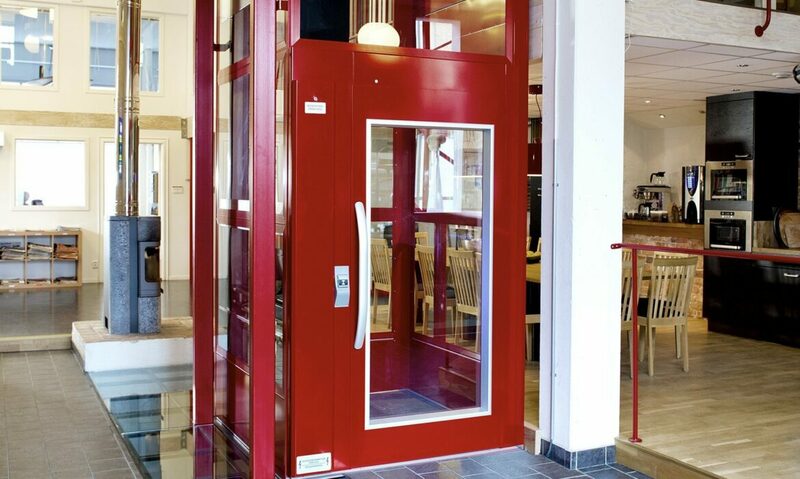 The installation of a Cibes A5000 requires only minor structural adaptation, which makes it the perfect choice for old buildings, like this fire station.